On a picture perfect Sunday morning in September, 2001, the first South Pearl Street Farmers Market was launched. Wanting to create an event that would bring neighbors to the street regularly, the first market was a single day event with just ten vendors. The day was a rousing success, and today– in its 18th season – the market has grown to 27 weeks, with over 120 vendors and thousands of shoppers and aficionados. Managed by our friends at HobNob Events for the past thirteen years, the market has seen many vendors and has been an incubator for vendor successes. 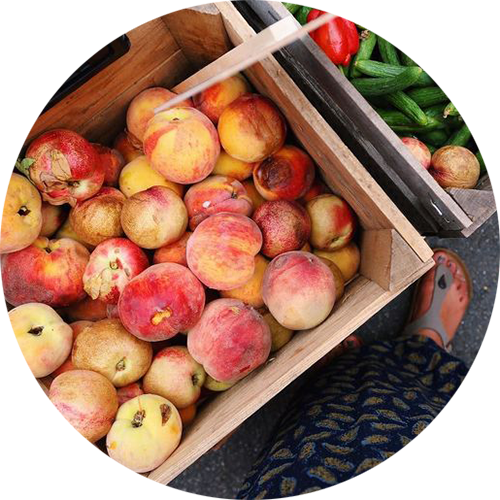 We would like to specially acknowledge Ela Family Farms, known far and wide for their mouth-watering peaches and apples from the Western Slope, and Styria Bakery, legendary for their fresh baked bread, both of whom have been with us since that very first day in 2001. The South Pearl Street Farmers Market is one of several markets in the Denver area managed by HobNob events. Join us in bringing the barnyard to the backyard during Homesteading in the Hood. We are celebrating the resurrected art of homesteading: sustainably living off and with the land in our urban homes and neighborhoods. It’s self-reliance in style! Download the Homesteading in the ‘Hood application or Apply Here! Bike-o-Rama is an event celebrating all things bike related. Bike vendors and exhibitors will be present to share their wares. You are encouraged to ride your bike to the event! Download the Bike-O-Rama application..
Our 1st Annual Salsa Showdown benefiting R Bazaar (a non-profit supporting refugee and immigrant entrepreneurs, and chefs too!). All entries will be judged onsite with individual tastings offered to Farmers Market patrons. Apply Here! Please reach out to Sue or Nancy at the Whole Cat and Dog for more information: wholecat@aol.com, 303.871.0443. Download the Pet Adoption Fair application. Have a favorite Chili recipe? Green/Red/White — bring it on! All entries will be judged onsite with individual tastings offered to Farmers Market patrons. Beer, Bloody Mary’s & Mimosas will also be sold at the Market for this special day only! Apply Here! Calling all Goblins/ghouls/fairies (and more) of all ages! There will be a costume parade down the 1400 & 1500 blocks of South Pearl street for all kiddos. The parade will start at the end of the barricades by Kaos Pizzeria. The Flea Market is designed to be open to selling items such as antiques, collectible, unique items of quality, valuable junque…you get the idea! Download the Flea Market application..
HobNob Events manages the South Pearl Street Farmers Market. 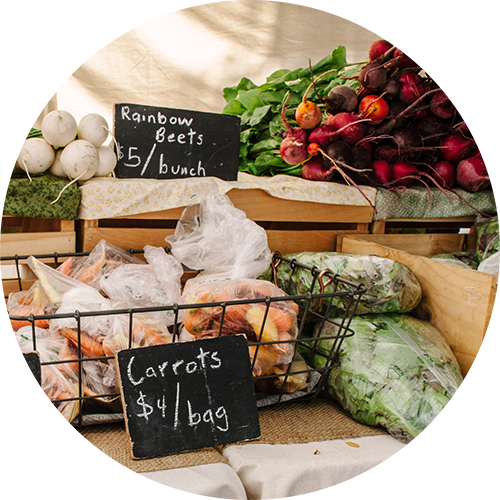 They strive to support and enhance the surrounding community by providing a Farmers Market experience where a great variety of fresh and wholesome products can be found. It is important to support our local community, therefore, all products must be grown, raised, produced or gathered by the vendor in the State of Colorado or in counties bordering the State of Colorado. In the case that a product is unavailable in the state of Colorado but we feel it would be a benefit to the market and the vendors we will evaluate the relationship between the vendor and the producer and make the best decision we can noting that sometimes there are exceptions to the rule. 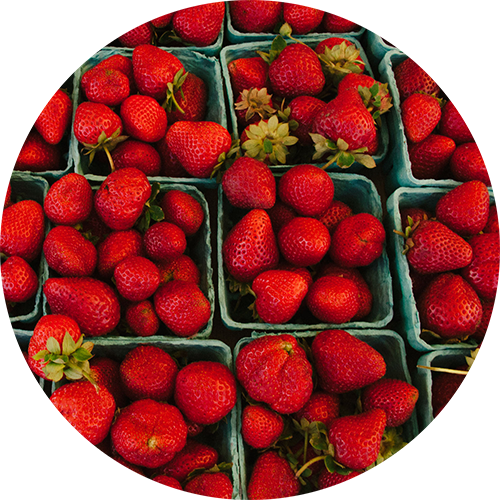 Q: What are the dates, hours and location of the South Pearl Street Farmers Market? 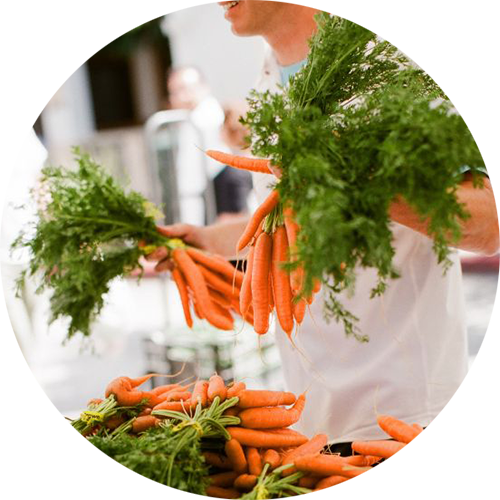 Q: How do you choose your Farmers Market vendors? The selection process takes into consideration many factors including product quality, sourcing, growing practices, presentation, seniority, safety, compliance, grandfathered vendors, customer service and the right product mix to ensure a successful market for everyone. Q: Do you close during inclement weather? Our market is open rain, snow or shine and all holidays. We will only cancel during EXTREME weather conditions. We ask that you check our Facebook Page and/or your email for weather updates. Q: What is the Denver Tax Rate? Q: Can I come to your market and pass out flyers to promote my new business/non-profit organization/charity event? We wish to provide market customers with a relaxing and enjoyable experience where they can stroll through the market and interact with the market vendors. NO solicitors or distribution/marketing of non-approved products are allowed at our markets. This includes signature gathering for petitions and voter sign-up. Q: I do not sell a product. Can I set up a booth at your market? Our market focuses on food and food related items. Informational vendors are not accepted into any of the markets. Q: I’ve seen booths set up at your market for items that are not on your vendor list or you’ve said you don’t allow in the market. Can you explain? In order to support the community, the merchants on the street and the Merchant/Neighborhood Associations, we allow brick and mortar stores on the market streets to set up booths and sell their goods at the market. Therefore, you may see a few items that are not on our list. We also have a handful of wonderful “grandfathered” vendors that have been at the Market longer than HobNob has been managing it!